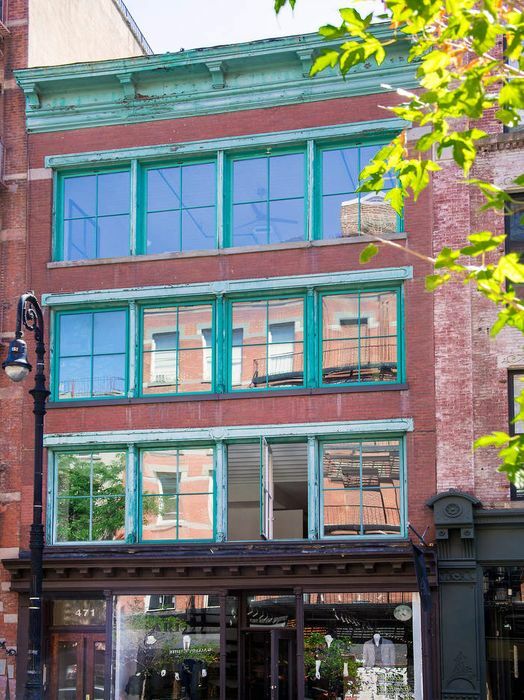 471 West Broadway PH, New York, NY 10012 | Sotheby's International Realty, Inc. 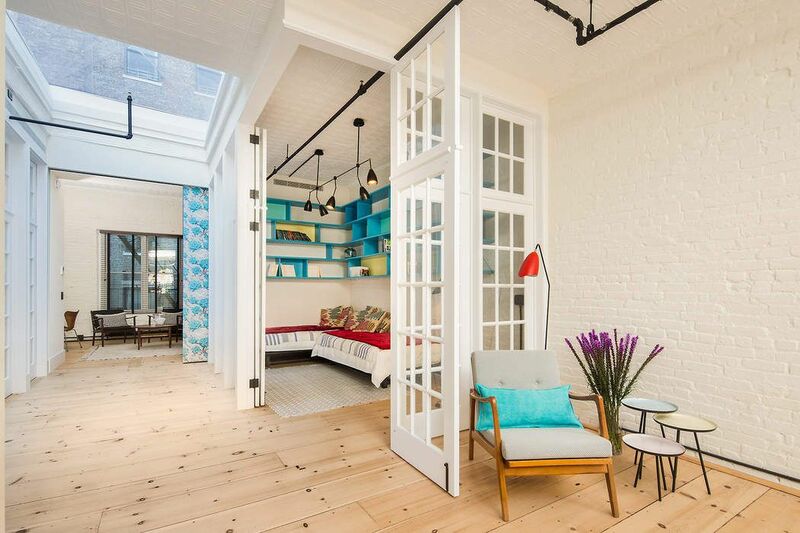 Stunning indoor- outdoor living in Soho! 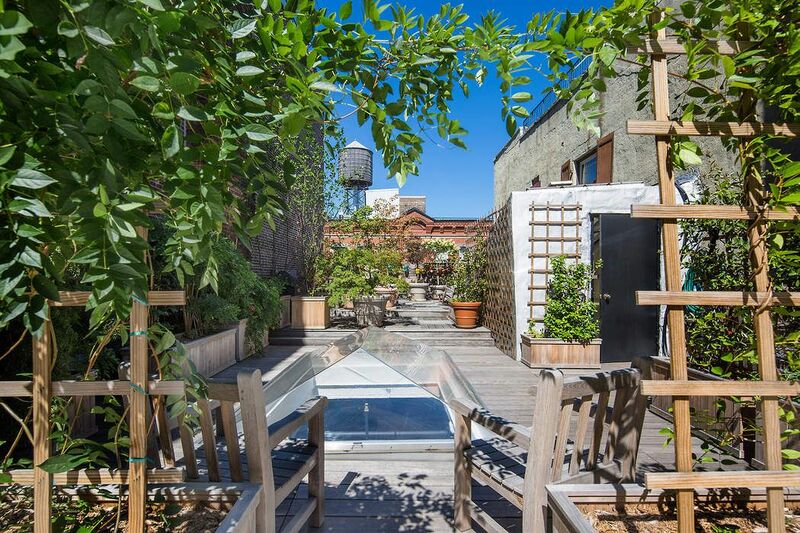 This one-of-a kind- sophisticated Penthouse loft with outsized private roof terrace has just been gut renovated to perfection with flair and preservation of its authentic original character. (Approx. 2,103 Sq. Ft. interior and 1,200 Sq. Ft. exterior). 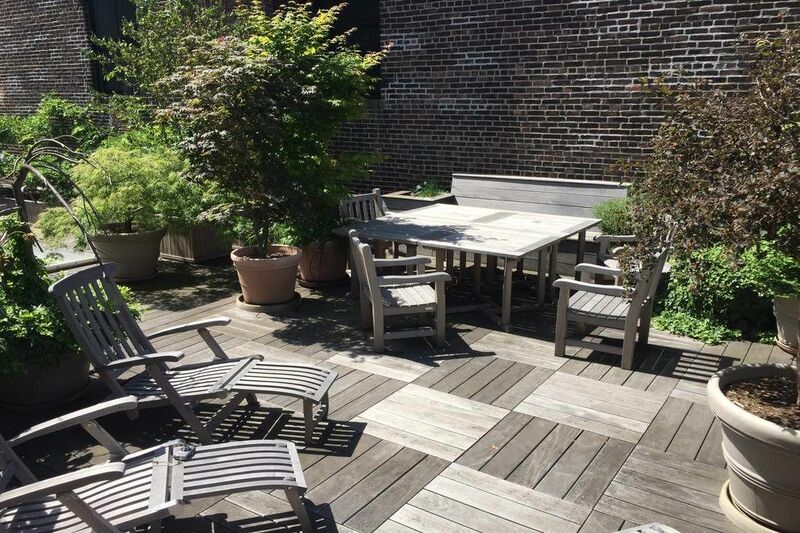 Currently a 2 bedroom with 1 and 1/2 bath (possibility to convert to 2 baths). 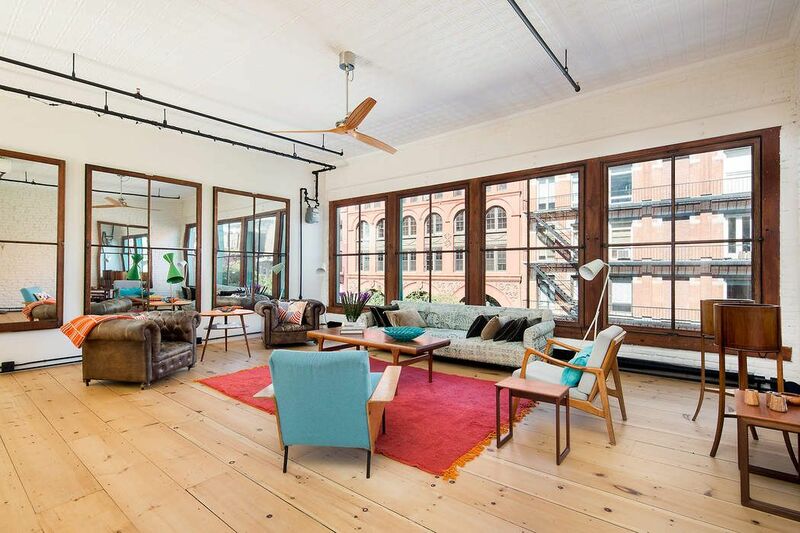 Huge windows and two expansive skylights flood this sprawling loft with glorious natural light. 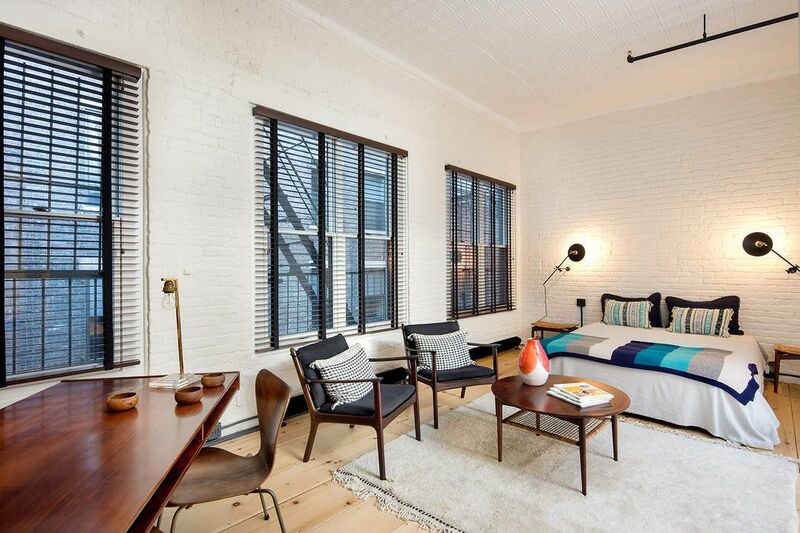 This alluring loft boasts dramatic high tin-pressed ceilings, extra-large plank pine floors, exposed white brick walls and sophisticated finishes. The inviting centerpiece kitchen includes a massive island with top-of-the-line appliances hidden in custom cabinetry. 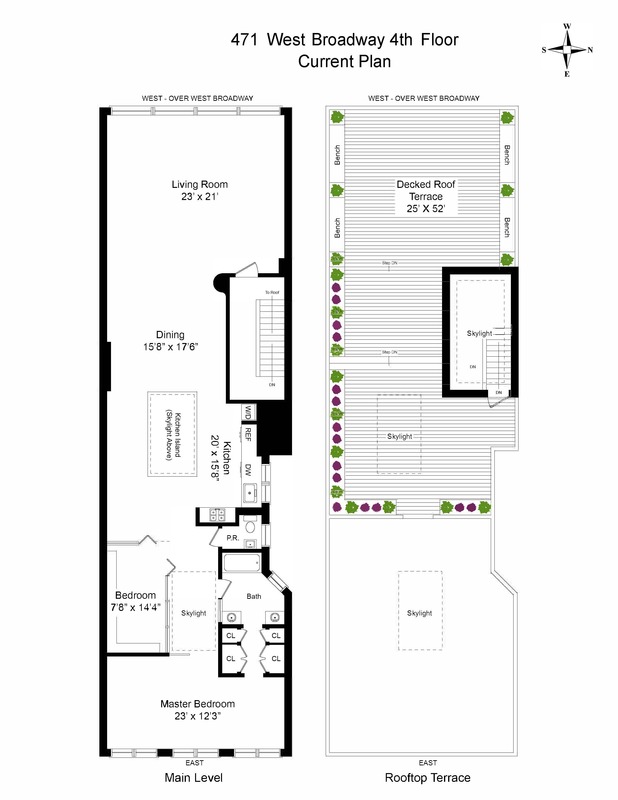 In flow with the 23 Ft wide living room area there is an additional interior bedroom with French doors ideally configured to be as a guestroom, a media room or a home office. The oversized master bedroom with custom closets was originally set up as 2 bedrooms and could easily be reverted to its former configuration. Additional amenities include a two-zoned AC, custom lighting, a washer-dryer and a video intercom security system. 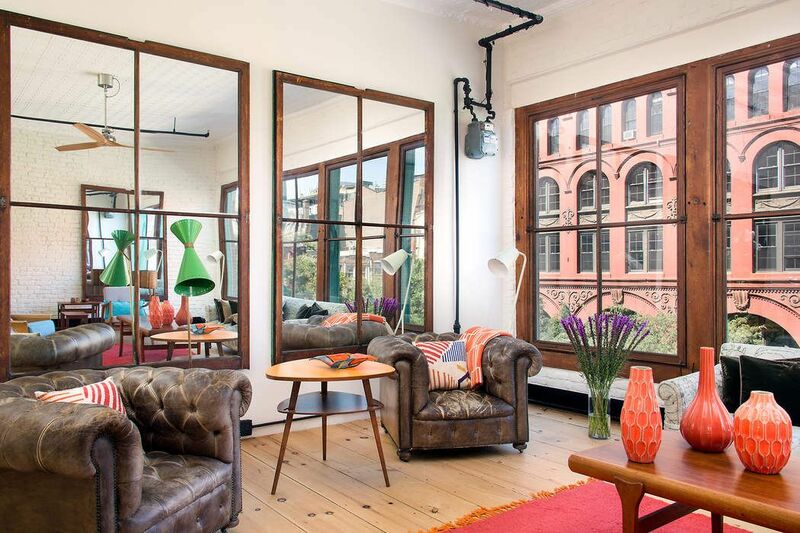 This spectacular Penthouse loft with historic views of landmarked Soho Buildings, is ideally located on West Broadway in a 19th Century intimate self-managed coop building, with only 3 apartments and extremely low maintenance. 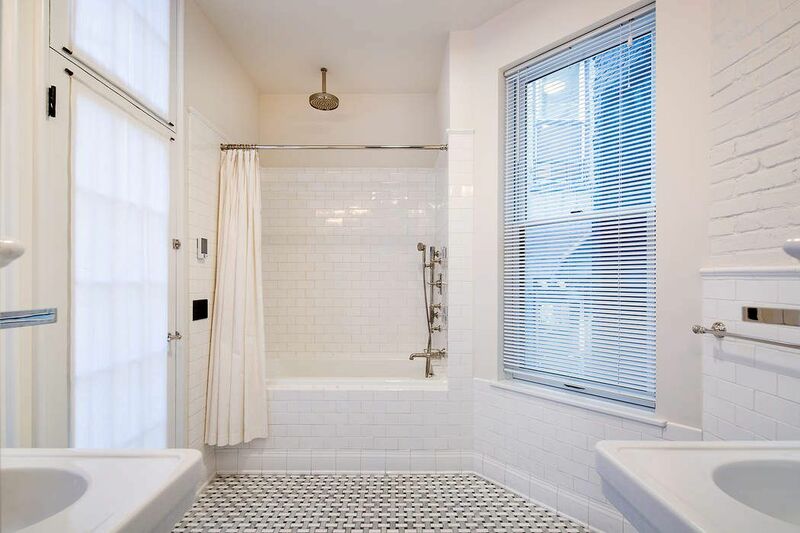 An alternative floor plan indicates where the second full bathroom used to be (prior to current renovation) and how it could be reconfigured moving forward for the next owner. Stunning indoor- outdoor living in Soho! 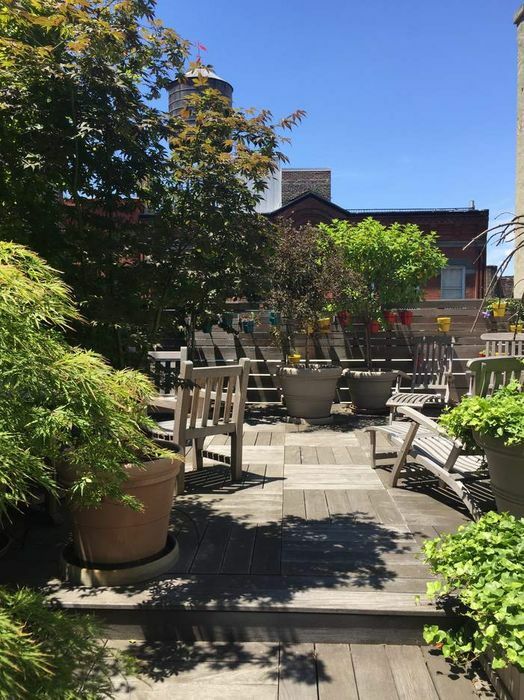 This one-of-a kind- sophisticated Penthouse loft with outsized private roof terrace has just been gut renovated to perfection with flair and preservation of its authentic original character. (Approx. 2,103 Sq. 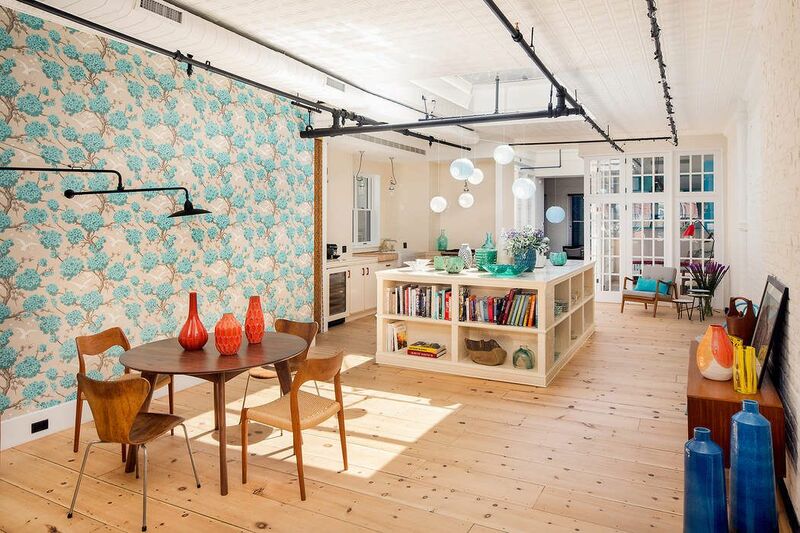 Ft. interior and 1,200 Sq. Ft. exterior). 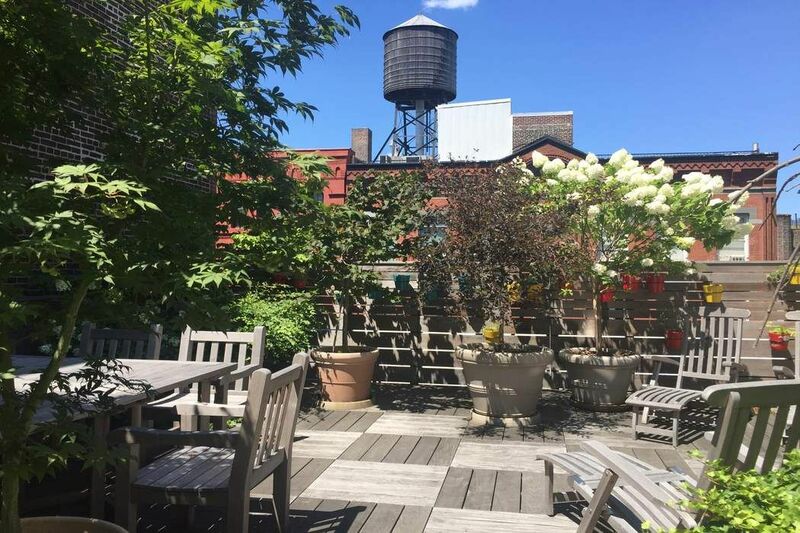 Currently a 2 bedroom with 1 and 1/2 bath (possibility to convert to 2 baths).Huge windows and two expansive skylights flood this sprawling loft with glorious natural light. 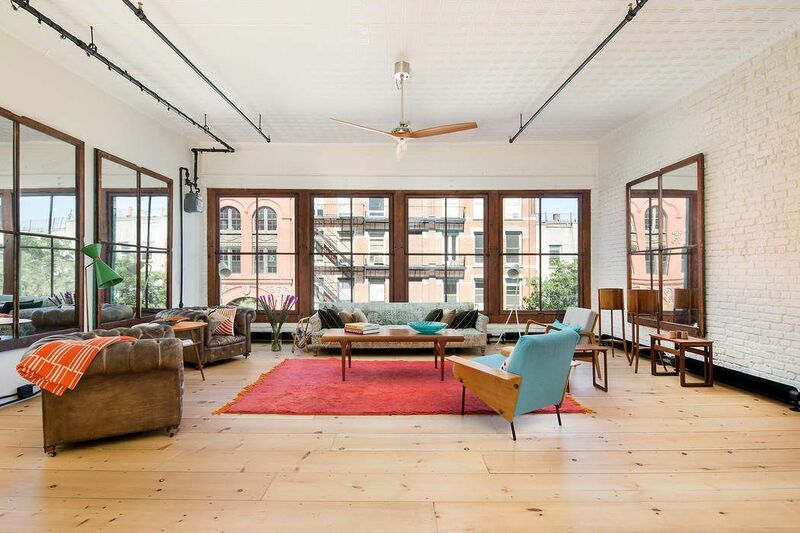 This alluring loft boasts dramatic high tin-pressed ceilings, extra-large plank pine floors, exposed white brick walls and sophisticated finishes. The inviting centerpiece kitchen includes a massive island with top-of-the-line appliances hidden in custom cabinetry. In flow with the 23 Ft wide living room area there is an additional interior bedroom with French doors ideally configured to be as a guestroom, a media room or a home office. The oversized master bedroom with custom closets was originally set up as 2 bedrooms and could easily be reverted to its former configuration. 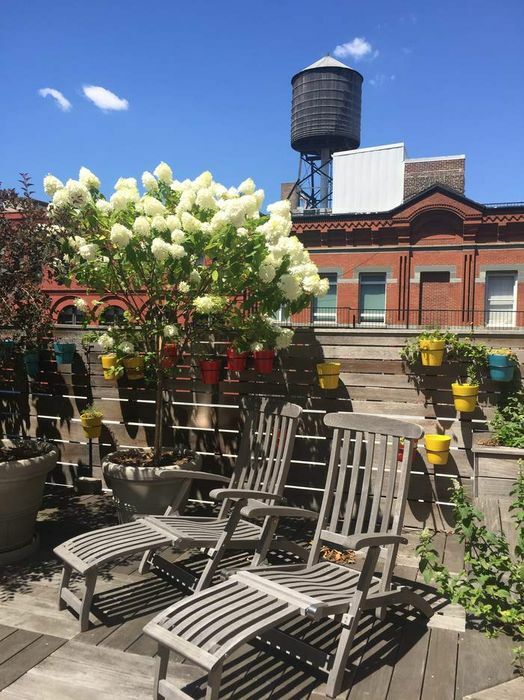 Additional amenities include a two-zoned AC, custom lighting, a washer-dryer and a video intercom security system.This spectacular Penthouse loft with historic views of landmarked Soho Buildings, is ideally located on West Broadway in a 19th Century intimate self-managed coop building, with only 3 apartments and extremely low maintenance. 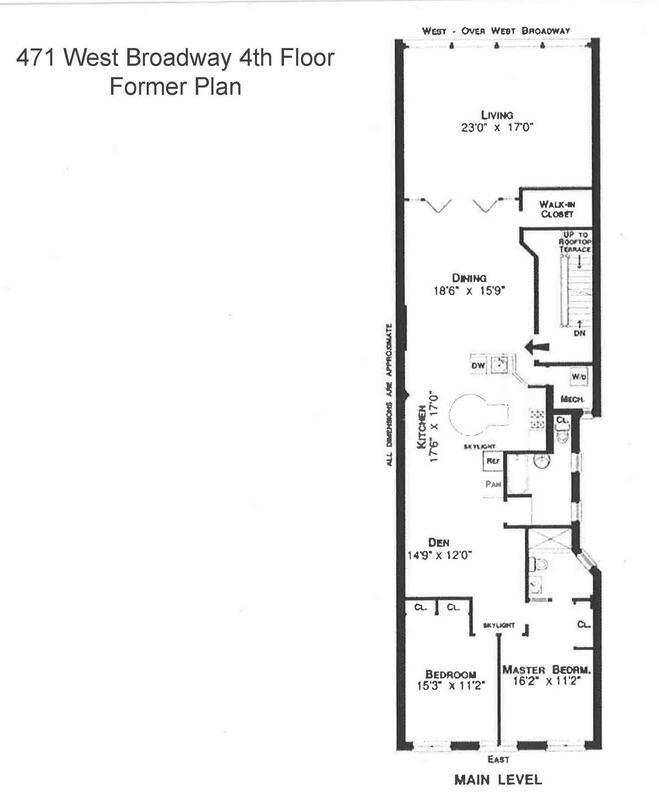 An alternative floor plan indicates where the second full bathroom used to be (prior to current renovation) and how it could be reconfigured moving forward for the next owner.